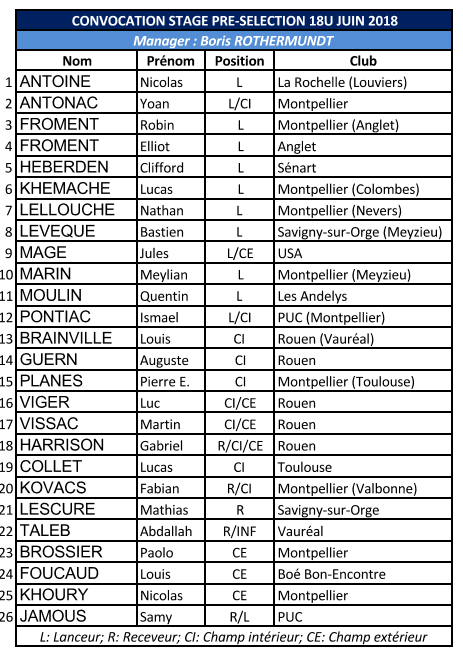 The French Baseball and Softball Federation (FFBS) released its preliminary roster for the U18 European Championship. 26 players were selected by head coach Boris Rothermundt for the tournament in Grosseto, which will be played from July 9 to 15, 2018. A training camp will be held in Toulouse from June 25 to 29. One day later the final roster will be announced.